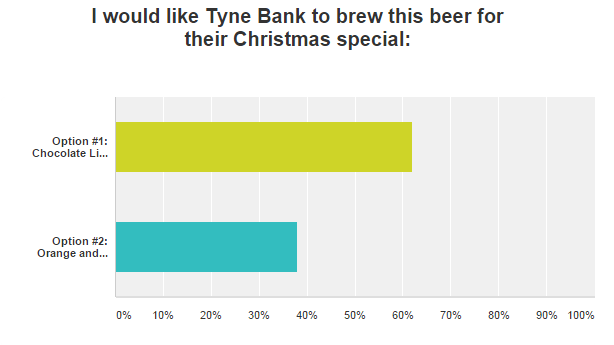 A big thanks to all of you who voted, we had loads of responses and it was a clear victory for the stout, taking 62% of the vote. It was in the lead from the word go, and we are now working on a recipe to have the beer released in both cask and keg for the start of December. The results chart from the vote, we can't wait to brew this beer!